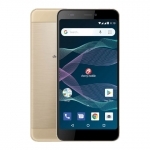 SKK makes another first with its Marian series – an octa core tablet called SKK Marian Tab. 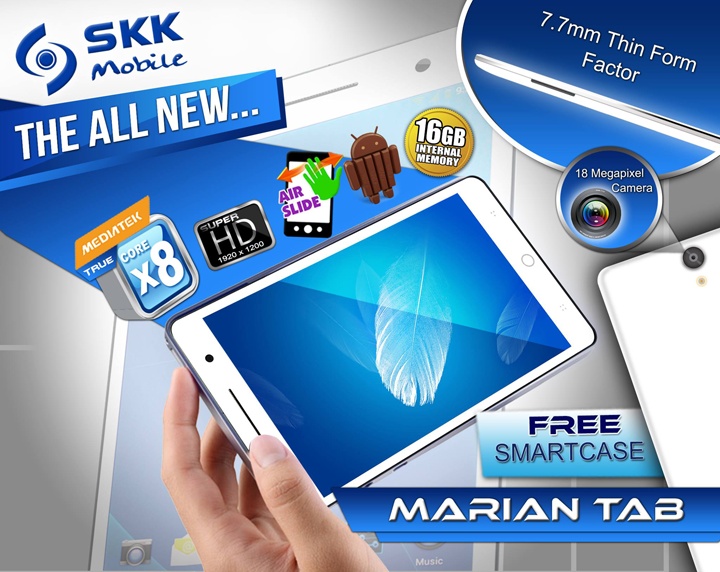 It’s surprising how SKK managed to fit SKK Marian Tab with a set of specs that can compete with international brands. 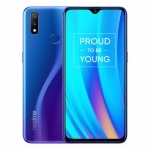 It has a Super HD display, 2GB of RAM and an 18MP camera. 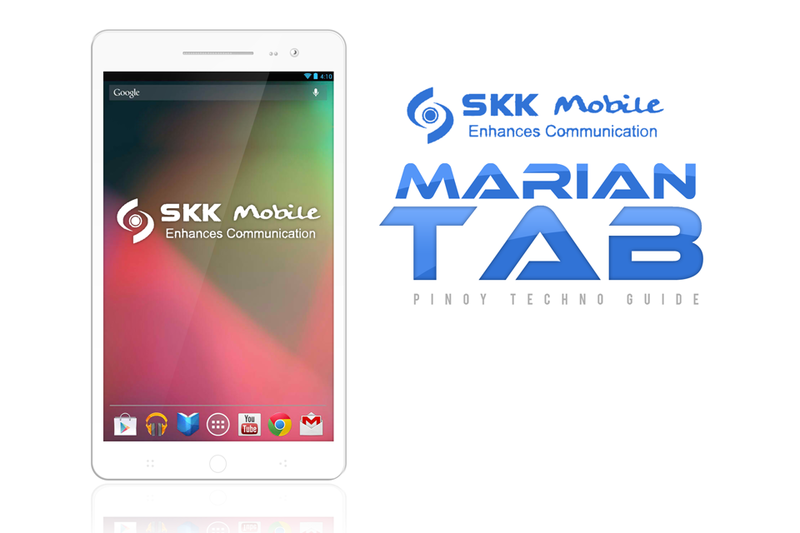 The Super HD display should make pictures, videos and other graphics very sharp and clear on SKK Marian Tab. It’s a 7-inch LTPS panel with a resolution of 1920 x 1200 Pixels that looks gorgeous even at great angles. 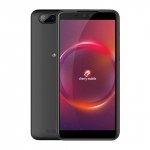 MediaTek’s true octa core MT6592 processor runs the SKK Marian with a Mali450-MP4 graphics processor and 2GB of RAM for multitasking. These should be enough processing power for gaming and productivity apps. 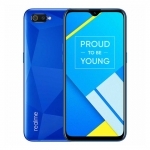 It already has 16GB of onboard storage space but you can still use an up to 32GB MicroSD card to add more. This is important for game files, movies, photos and other files. The SKK Marian Tab surely looks good! Speaking of photos, SKK Marian Tab has an 18MP rear camera with LED Flash. This is probably the best camera on a tablet! However, it’s just an interpolated resolution. 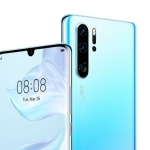 The camera on its OEM is listed as 13MP. For the front camera, a 5MP snapper will take care of your selfies and video calls. 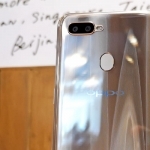 Unlike the rear camera, this one is truly has a 5MP sensor. 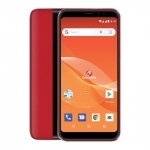 Another great feature of SKK Marian Tab is the dual SIM slot with 3G connectivity. You can use mobile data to browse the internet if you’re not in a Wi-Fi zone, send texts and make calls with Marian Tab. 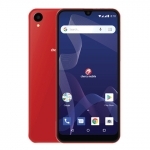 Wi-Fi, Bluetooth 4.0 and GPS with EPO assistance are all present but USB-OTG seems to be lacking. 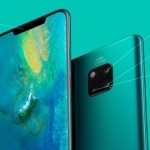 SKK pointed out the 4-direction gravity sensor on SKK Marian Tab. You might be disappointed by Marian Tab’s 3500mAh battery but the LTPS display helps a lot in conserving power. 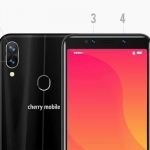 It can be on standby for up to 2 days on a single charge. 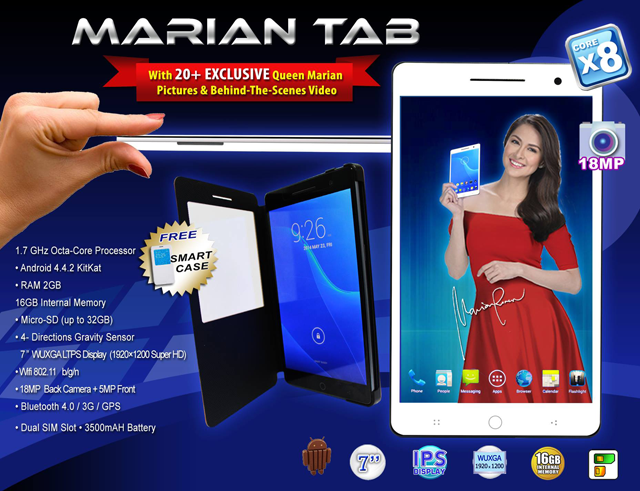 The real drawback for SKK Marian Tab is its suggested retail price – ₱19,999! 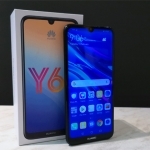 That’s way more than its OEM price in China. If this is not a typographical error, SKK just made a terrible mistake. 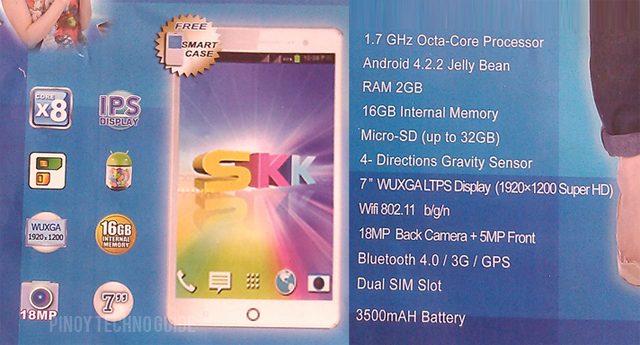 Even if SKK Marian Tab has these amazing specs, almost no one will buy a locally branded tablet with that price. 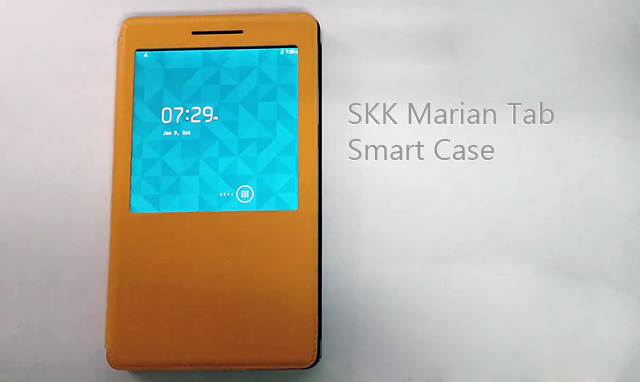 The Smart Case that comes free with SKK Marian looks very good. 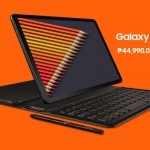 Let’s hope that they cut this ridiculous price before the tablet goes on sale. SKK posted the official teaser photo of SKK Marian Tab. Surprisingly, it now indicates that the tablet will run on Android 4.4.2 Kitkat. Hopefully, the price gets an edit too.